Samuel Barker is both a gentleman and a scholar. I know this to be true for the first because I've thoroughly enjoyed my e-mail correspondence with him (and I owe him a follow-up) and for the second, he used to be a music blogger himself before chasing he dream (and we're an erudite bunch.) Barker's plainspoken folk punk has led him to open for both of our heroes: Two Cow Garage, John Moreland, Those Crosstown Rivals, Cory Branan...just to name a few. Barker's sound is a little more subdued than the folks listed above. "Kerosene" is probably the most "accessible" (and loudest) track on the album. Otherwise, Barker is more Moreland than Mellencamp. His lyrics often bear the weight of a poem that's been set to music rather than a song itself. "Kansas" will twist the knife in your heart left by "12 Hours From Richmond." I'd like to think they're of a narrative -- "Richmond" addresses the fissures touring creates in relationships, and "Kansas" feels like a likely outcome -- realizing, when you're all alone and at the end of your line, that you threw away the best thing you had. But Barker's not a one-note pony: "Mendoza Line" and "It's Okay to Be Okay" add some levity and hope to the mix. 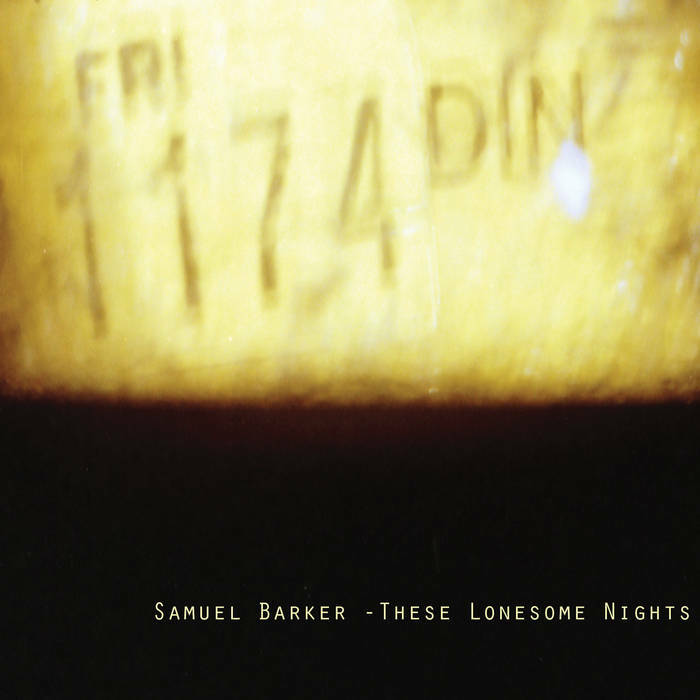 Barker makes the foibles of truly down and out people (including himself) into things of beauty. Stark as they are, they provide a compassionate view of some of our darker moments.